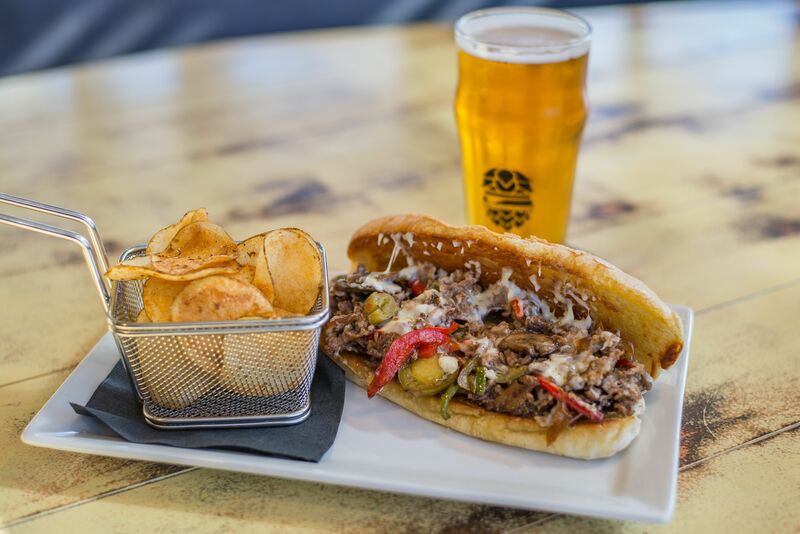 This week our special of the week is the TX Philly Cheese Steak by Chef Michael Bellamy. A hoagie bun stuffed with shaved steak, white American cheese, bell peppers, sautéed mushrooms, caramelized onions, and pickled jalapeños. With house potato chips as the perfect side! We suggest pairing this sandwich with a Kolsch Style Beer.